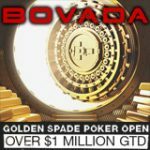 The 888 Poker Super XL 2016 schedule has been released with all the events now showing on the Super XL tab in the tournament lobby adding up to over four million in guaranteed prize pools. 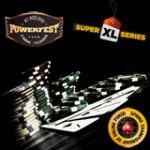 The Super XL series is scheduled to take place between 17-25 September 2016 with forty online poker tournaments added to the schedule. Start playing for your seat to the $1,5 million guaranteed Main Event and other events for free in the daily Super XL qualifier tournaments. 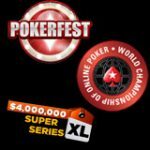 Signup and get two Super XL Qualifier tournament tickets plus up to $88 in poker bonuses, no deposit required. 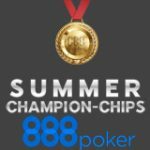 Play for your share of the four million in guaranteed prize pools this September in the 888 Poker Super XL 2016 series of tournaments. 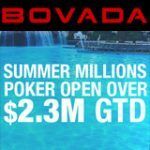 The Main Event offers a massive million dollar prize pool and here's how you can get your seat to the Main Event for free. 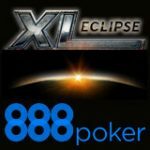 All players get two Super XL Qualifier tournament tickets which can be used to enter the daily tournament where players can win tickets to various tournaments on the Super XL 2016 schedule. 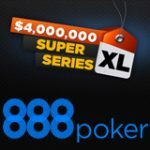 See the full Super XL 2016 schedule for the tournament details of 888 Poker series which takes place between 17-25 September 2016.